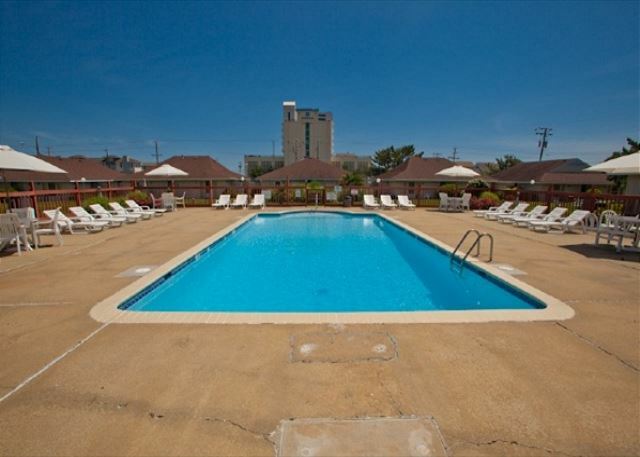 Coastal Comfort is a charming and updated getaway located in the beautiful North End of Virginia Beach with pool access, and just across the street from sandy beaches and breathtaking ocean sunsets! 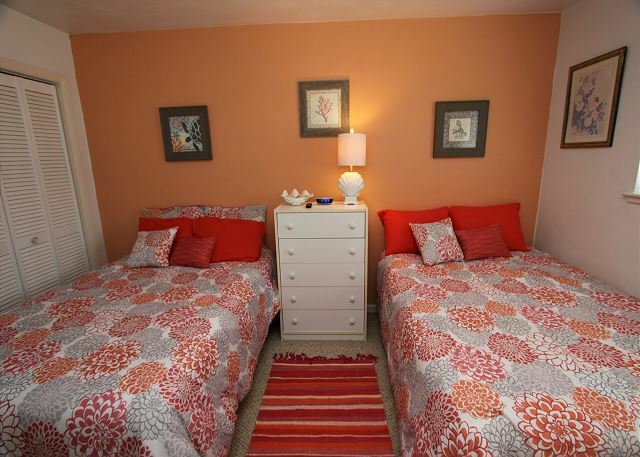 With two bedrooms and two bathrooms, this unit comfortably sleeps eight people and is sure to be the center of some of your most precious vacation memories for years to come! If you are looking for a nice, relaxing beach getaway, Coastal Comfort is the place for you! We were a family of 4 that stayed here. It was perfect for us and we didn’t have to eat out hardly ever, except to go to our favorite places. The beach was right down the block and the pool right in the back yard. Kids had their own space and we had ours. The house was very cozy and we felt right at home. We really enjoyed ourselves and the people who lived there and other renters were very nice and welcoming. We brought stuff but it really was stocked pretty well. They did have a charcoal grill but we did not use it. Sitting out back was enjoyable or even in the front of the house. Sheets and towels are given so that was a plus also. Our biggest con was the throw carpets, garbage, and cleanliness of the place. It looked clean when we first went in but kept tripping on carpets that were turned up in the corners and the carpet in front of the spare bedroom and bathroom are so gross underneath. There was garbage under the garbage bag with a fowl liquid in it. Food on the floor with ants all around. Knives put in the holder still dirty. The previous guests had ALOT of garbage that was overflowing and flies everywhere and they must have killed flies with the blinds and curtains because they were squished everywhere. I cleaned the house from top to bottom before we did anything and removed those carpets and put in the closets. After I CLEANED all this up it was just perfect. It's been our family vacation spot for over 40 years! I think that says it all. a guest from Enola, PA does not recommend this vacation rental. 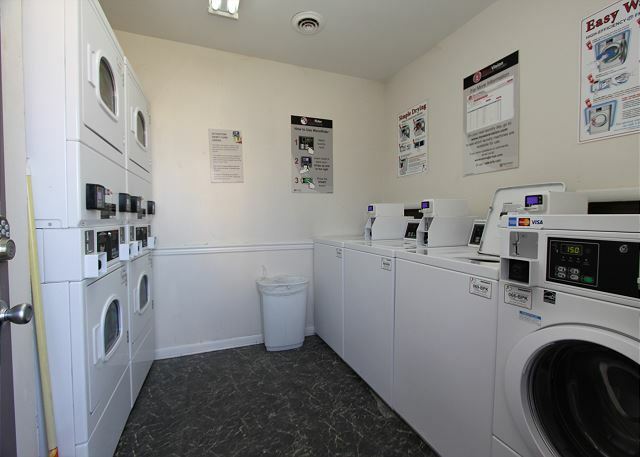 The photos depict a well-maintained property, with nice amenities. We found the condo to not live up to these expectations. While the property was fairly clean, there were issues such as not having sufficient silverware to accommodate our group of six people (it sleeps 8), and there was an issue with the dishwasher. Neither of these issues were resolved, despite the property manager's prompt verbal response that the owner would be contacted. The two pluses with this property are the proximity to the beach, and the community pool. Hi Lynda - Thank you for your feedback & for staying at Coastal Comfort. We love hearing insight from our guests as to what could make our rentals even better! Sorry to hear that you experienced trouble with the dishwasher in this unit - Our maintenance team responded and got the dishwasher working correctly. We hope to see you again next summer! Had a great time at this location and would return. Easy walk to very wide, non-crowded beach and very nice pool right out the back door. Pool hours are minimal (10 am - 8 pm) as people on vacation extended pool hours would be appreciated. Premises are old and could use some updating but the rental agency was prompt about fixing any issues. Property about one mile North of the Northern end of boardwalk. Very community like area and at no time did I not feel totally safe. We did use the charcoal grill and outdoor patio/furniture. Went kayaking at local state park and saw ospreys, eagles and more. We have been vacationing at Mai Kai for over 15 years. Our group consists of about 30 people. Over the years, the houses have been neglected and could be updated and kept up better according to the amount of money we pay. Some of the owners and long time leaser's were not kind and very rude to us. Their are a few of us looking to vacation somewhere else next year. Our vacation was very enjoyable. The location was very close to the beach but far enough away from the Boardwalk that you could have some quiet at night if you wanted. Unit was very clean and well stoked. Overall, we had no worries and the staff answered all of our questions on site. Our experience at Coastal Comfort was a very satisfying one. We were very pleased with the location and how well maintained the property was when we arrived. The condo is tastefully decorated and was very clean. The pool was just outside the back door and the beach is a short walk across the street. We were very pleased that the entire complex was family oriented. We had a wonderful week stay and hope to be able to return in the future. This property was great. The pool was wonderful. The beach was a short walk and we were able to carry our beach gear and coolers without difficulty. The layout was wonderful and we had everything you needed and more. I would recommend it to anyone and stay again myself. Very clean and well maintained. Thank you for sharing with us! This was a great company to work with. Very professional and courteous. The property was in a great location. Close enough to walk to shops yet far enough away from the crowds of the beach. 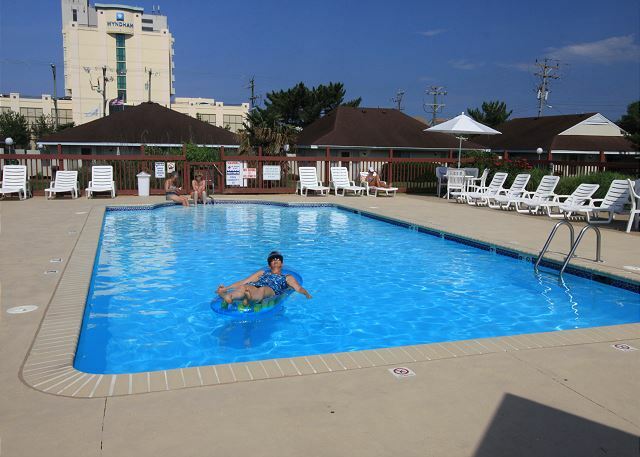 We are so glad to hear that you enjoyed your time at Coastal Comfort and hope to see you again for summers to come!